Coach Giovanni Solinas has described Khama Billiat as Kaizer Chiefs’ Lionel Messi. 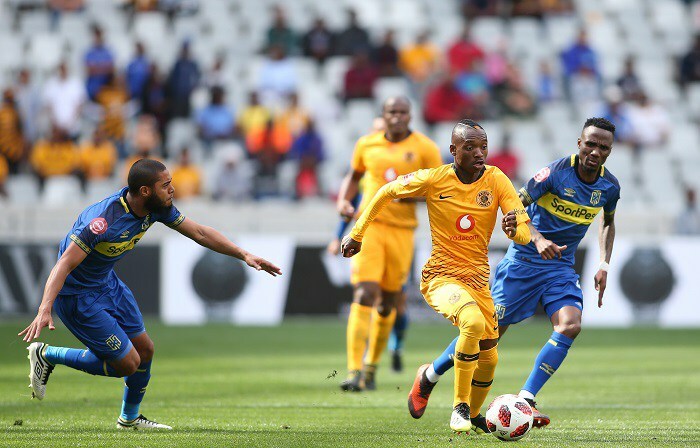 Billiat has got involved in 50% of the Amakhosi’s goals so far this season in all competitions, and his latest contribution came on Saturday when he assisted Siyabonga Ngezana’s finish in the 2-0 victory over AmaZulu. Speaking to the club’s media, Solinas reserved special praise for the 28-year-old Zimbabwe international, believing that he is as important to his side as Messi is to Barcelona in Spain. “Barcelona have ten players and Messi. Kaizer Chiefs have ten players and Billiat. Khama is the best player in the PSL and he’s one of those rare players who makes the difference,” said the coach. Khama Billiat joined Chiefs at the end of his contract with Mamelodi Sundowns in June after spending five years at the side where he won the champions league and the CAF Super Cup. NextWho did Zim vote for in the The Best FIFA Football Awards 2018?